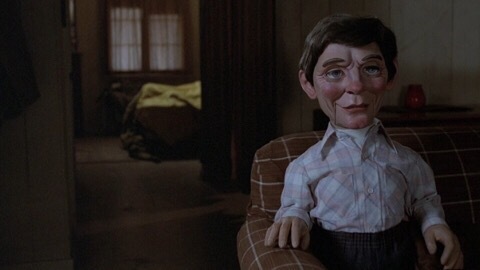 Welcome to Creepy Dolls Week! Let’s look at Magic’s impressive set of names: Richard Attenborough, William Goldman, Anthony Hopkins, Ann-Margret, Burgess Meredith… Wow! This is why I added Magic to my Blind Spot list. Was it as good as the talent involved would suggest? 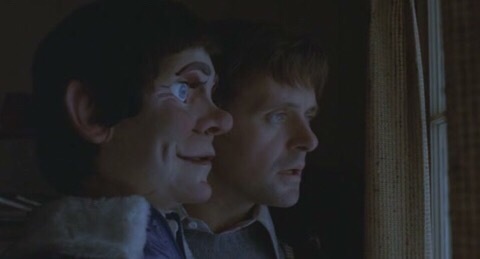 Anthony Hopkins is great in this & it’s easy to see why he’s become such a highly respected actor. This is the type of role that can go seriously wrong if not played right but he does the “vulnerable, possibly insane, slowly becoming unhinged” thing perfectly. 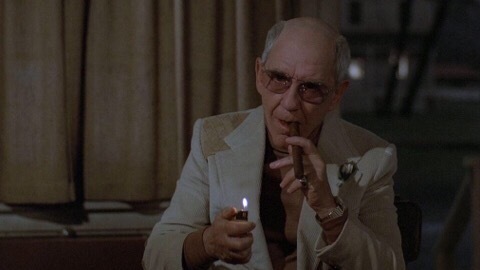 Then we have the brilliant Burgess Meredith as Hopkins’ high-powered agent who is trying to get a TV show deal for Hopkins & Fats. Aww. I love Burgess Meredith! I’ve had a soft spot for him ever since his various roles in my absolute favorite TV show growing up, the original The Twilight Zone (he just wanted to be left alone to READ!). I suppose I should get around to watching those Rocky films someday, huh? Anyway, he was a delight in Magic & probably my favorite thing about it. He looked weird with a partially shaved head, though. Speaking of The Twilight Zone, I suppose I have to admit that Magic’s story doesn’t feel totally original as it was done before in things such as, yes, The Twilight Zone as well as in the not-as-well-known-as-it-should-be British horror anthology Dead Of Night. However, this story is often repeated because it’s a damn good one & Goldman has created very strong characters in order to pull it off. 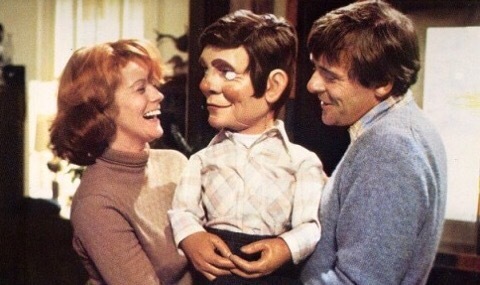 I’ll always happily watch the various ways of going about telling this same “crazy ventriloquist OR crazy dummy?” story. Unfortunately, while I adore movies from the Seventies, this one hasn’t aged quite as well as some. The strong characters stop when we get to the one female in this film: Ann-Margret. She played the role fine but her character is flaky & far too forgiving. But I suppose that’s kind of the point of her character as she’s married to a possessive man, meaning that when she has an affair with Hopkins & he starts displaying bizarre behavior she just puts up with it as it’s the sort of behavior she’s come to expect. It was a different time, though, and I can’t say this hurt the film too much overall. 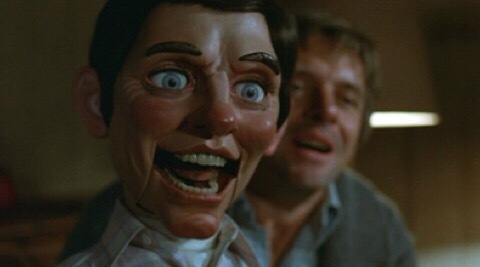 But I couldn’t help but think that I’d kick that crazy dude & his ugly dummy the hell out of my house! No, wait – I wouldn’t let them in in the first place. 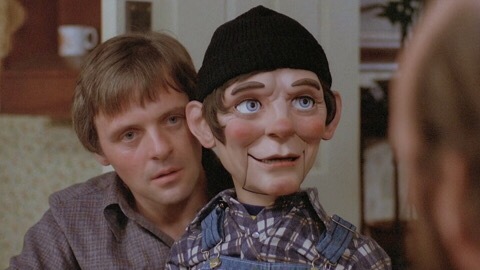 You are NOT coming into my house with that dummy. I don’t care if we were friends in high school! And don’t send me any social media friend requests, either. Weirdo. 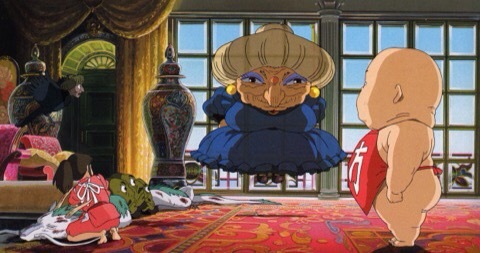 Magic is a good film. 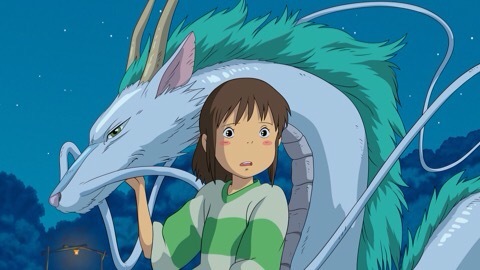 It won’t become an all-time favorite of mine but I’m glad I finally watched it. 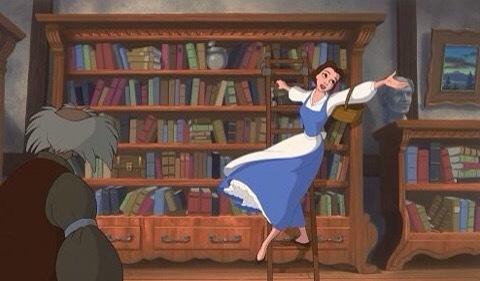 The story is well told with strong characters but I have a feeling it maybe worked slightly better in the book? Has anyone here read it? 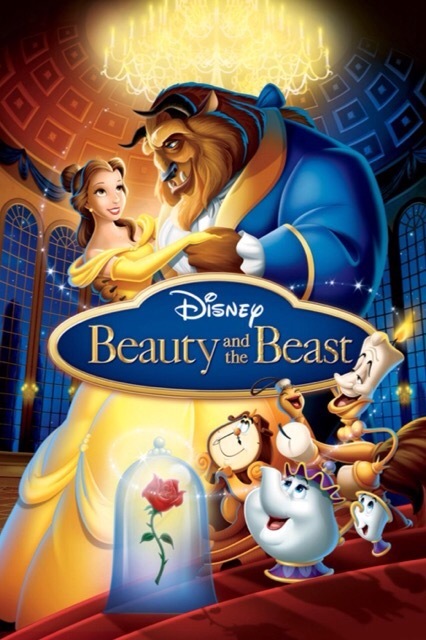 However, the acting really makes this film far better than it would’ve been had less talented people been involved. 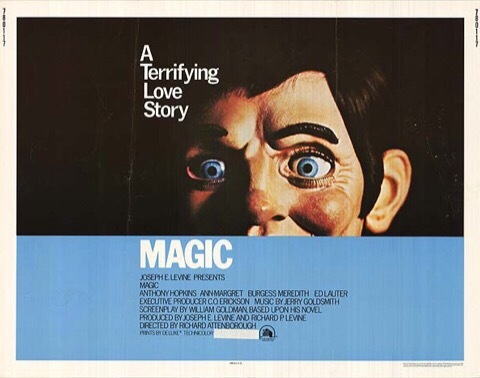 I do recommend Magic if it appeals to you in any way as I think it would be worth your time, especially if you’re a fan of Hopkins & appreciate good performances. 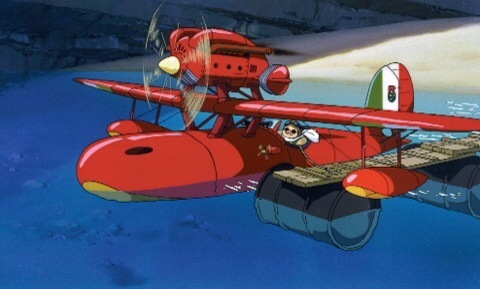 The plot revolves around an Italian World War I ex-fighter ace, now living as a freelance bounty hunter chasing “air pirates” in the Adriatic Sea. 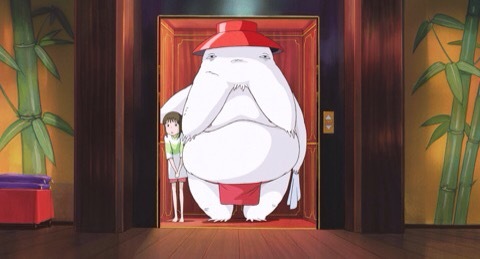 However, an unusual curse has transformed him to an anthropomorphic pig. 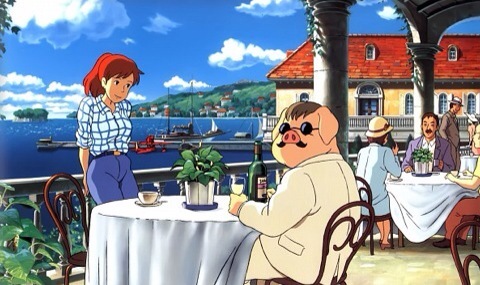 Once called Marco Pagot (Marco Rousolini in the American version), he is now known to the world as “Porco Rosso”, Italian for “Red Pig”. 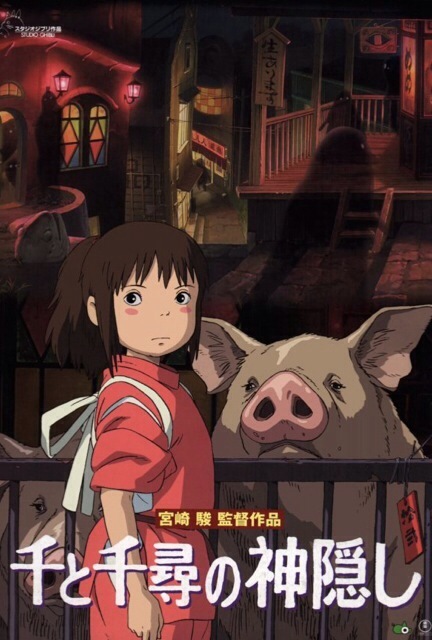 I’m sorry but I have to use the word “odd” again in a Studio Ghibli review. Maybe I should buy a thesaurus. Hey, does anyone own an actual dictionary or thesaurus anymore? You can just Google everything. I think back to when I was a kid & had a set of encyclopedias… Bet no one buys those anymore! 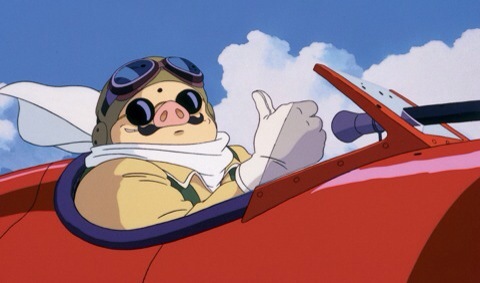 Anyway, Porco Rosso is bizarre. There, I didn’t use the word “odd”! 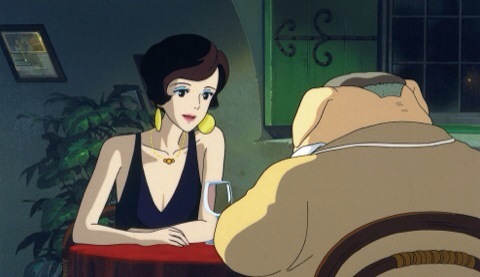 First of all, I admit to only seeing the English dubbed version of this as it was on TV and I know I NEVER enjoy those as much as the subtitled versions so, therefore, I’ll probably be a little more harsh on this movie than it deserves. 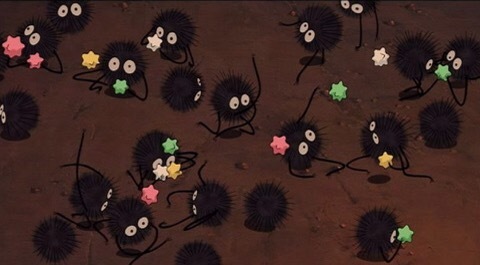 This is one of the “not for kids” Ghibli films. It’s hard to know who it’s aimed at… I’d say it’s the most “adult male” one I’ve seen so far. 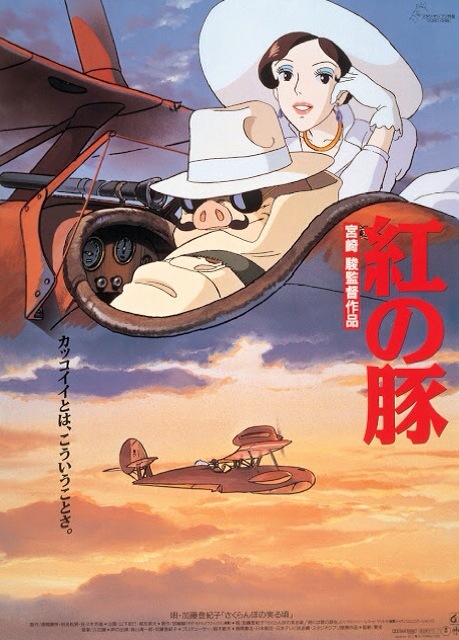 As I’m not male & really not at all interested in WWI flying aces (other than Snoopy), this movie didn’t speak to me the way other Ghibli movies have. 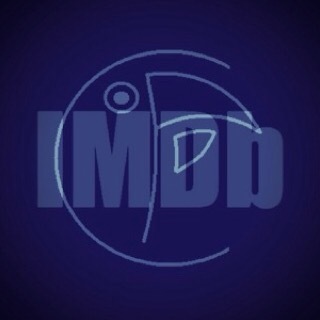 It has quite a high IMDB rating & I’m sure plenty of people like this one. 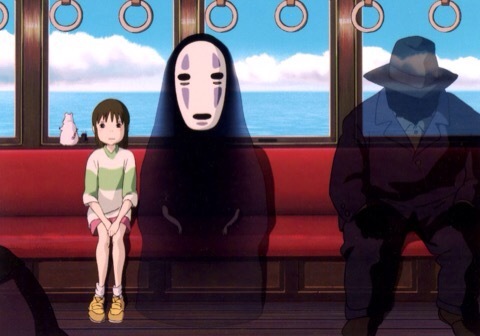 It’s just my least favorite of the Miyazaki-directed Ghiblis (I only have one left to watch – The Wind Rises. Will be interesting to see how that compares as that’s about a man who designed Japanese planes for WWII). 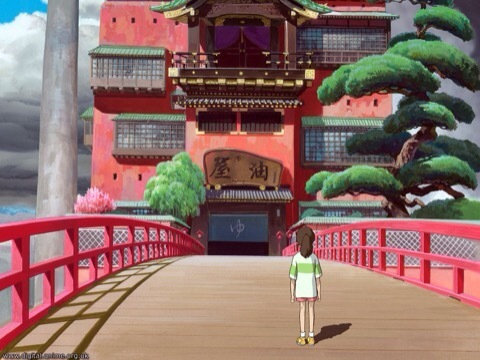 The 17-year-old girl in this, however, is another strong female Ghibli character. 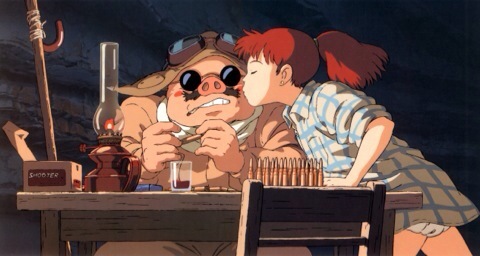 She’s an engineer & helps fix Porco Rosso’s plane. 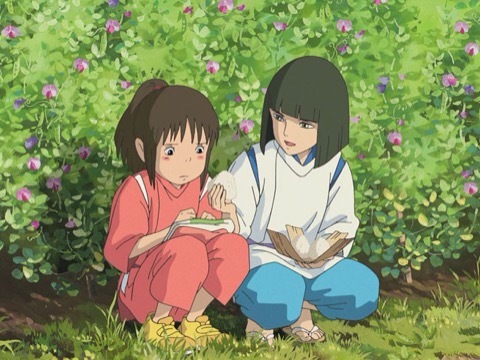 I think a big part of the reason I like Studio Ghibli films so much is because of the great female characters so I’m glad we got a decent one in this movie as well. 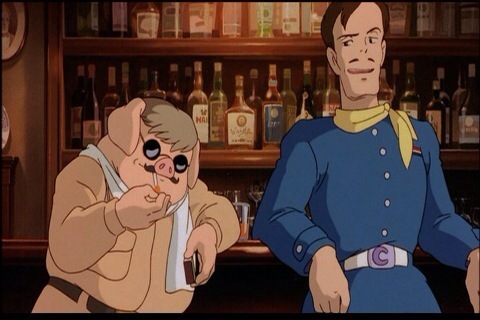 She’s not the main character but she does help make up a bit for Porco’s somewhat sexist & unlikable ways and kind of brings out the best in him by the end.